(Newser) – South Carolina wants to have the option of seceding from the US—again—if it feels the government does anything that goes against the Second Amendment. The Hill reports three Republican legislators in South Carolina introduced a bill Thursday that would let the state debate secession specifically "if the federal government confiscates legally purchased firearms." It is extremely unlikely the bill passes out of the House by the April 10 deadline, according to the AP. Succession is a complicated thing.. There is MUCH More at stake Like Social Security benefits and National Security... YES.. The South Receives more than the pay.. But economically the South is a Cash Cow for the North and the Nation.. They Can’t do without the South.. Look at a bigger picture.. If the South succeeded.. There would be another GREATER Migration than this nation has ever seen. This time NOT Racial.. But Political.. The Red South would become Brilliantly RED.. And the Northern cities already crippled by Liberal philosophies, would be the target homes for these migrating freeloaders. The True Capitalism would flourish in the South.. And the South would no longer need the Government assistance. 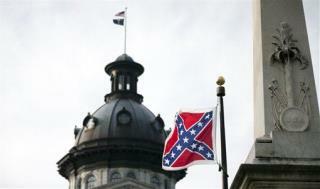 The South would again bask in States Rights.. Deciding things like Abortion, Prayer, Religion, Marriage and Family Definitions, Sexual distinctions, Guns, Border Security,.. The South would be a HAPPY Bunch of Piggy’s.. .. I would rather see California go. I doubt anyone would stop them. Don't be calling FEMA when that hurricane slams into you.